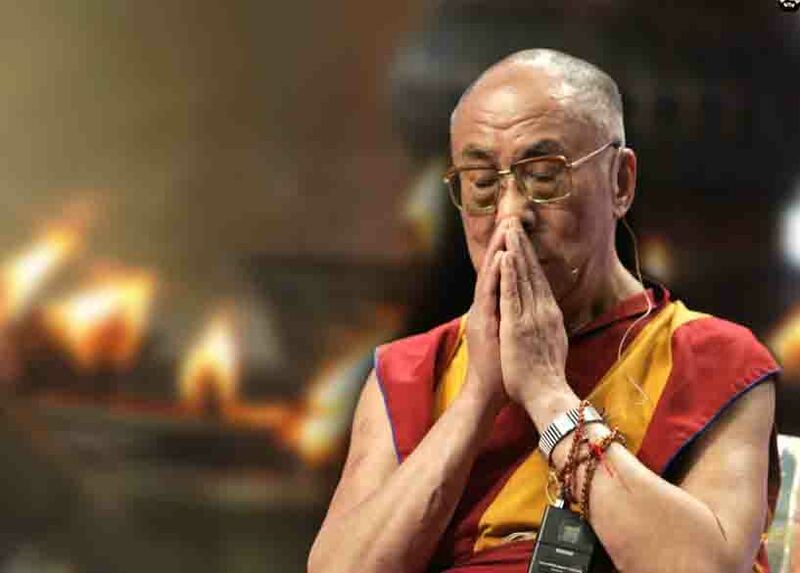 (TibetanReview.net, Feb29’16) – Tibetans in yet another place in Tibet, this time in Qinghai Province, were reported to have defied Chinese government’s will by praying for the good health of their exiled spiritual leader, the Dalai Lama. As elsewhere, following news that he was being treated for a prostate condition in the United States, monks of Gaden Shedrup Thupten Phegyal Ling Monastery in Tridu (Chinese: Chengduo ) County have held a week-long prayer service for the Dalai Lama, joined by the local lay people. The prayer service apparently took place just after the monastery’s annual Tibetan New Year prayer festival. And it appeared to have begun on Feb 23, the 16th day of the Tibetan New Year, when the monks and the lay people carried a portrait each of the Dalai Lama, the 10th Panchen Lama, and the founder of the monastery Jamyang Tenpey Nyima during the ceremony for ushering the Maitreya Buddha. The prayers and the accompanying rituals were aimed for the speedy recovery and long life of the Dalai Lama. Those taking part in the service were reported to have vowed to perform rites and carry out virtuous deeds to strengthen the effectiveness of their prayers. It was earlier reported that Tibetans in parts of Qinghai and Sichuan provinces were carrying out prayer services in their homes after Chinese authorities prevented gatherings at monasteries to pray for the Dalai Lama. This followed reports that on Jan 25, thousands of Tibetans, including monks and nuns, gathered outside Chogri Monastery in Tehor Township of Kardze (Ganzi) County, Sichuan Province, in their hundreds to pray for the Dalai Lama. Later in the first week of Feb, China detained two high-ranking Buddhist monks in Draggo (Luhuo) County of the same prefecture for their involvement in that prayer service. Before that, on Jan 31, Draggo authorities issued an order, requiring shopkeepers to turn over their stocks of photos of the Dalai Lama by Feb 2, following which “severe punishment” was to follow for violators. The order banned the stocking, sale, or display of Dalai Lama pictures.